A national library organisation has urged Moray Council to rethink plans to close down six libraries. The local authority proposes to shut sites in Burghead, Cullen, Dufftown, Fochabers, Lossiemouth and Tomintoul. Opening hours would also be reduced at facilities in Buckie, Forres and Keith as part of the budget cutting proposals. The Chartered Institute of Library and Information Professionals in Scotland (CILIPS) has, however, called on Moray Council to reconsider. It fears the proposals would damage communities, remove an important service and badly affect local groups. Sean McNamara, head of CILIPS – the professional body for librarians – insists shutting the facilities would do more harm than good in the region. He said: “I understand the cuts being proposed would make a saving in the region of £200,000. “The recent National Strategy for Public Libraries highlighted the incredible return of investment libraries offer. “We believe the savings these changes would achieve are short-term ones in comparison to the detrimental long-term impact it would have on communities. The reduction in services would be the latest in a series of blows for the region’s libraries. Five years ago, campaigners marched through Elgin in a bid to save seven other libraries from closure and won a reprieve for three of them. Sites in Findochty, Hopeman, Portknockie and Rothes were all shut, but after the Save Our Libraries Campaign threatened to take Moray Council to court, the authority agreed to keep facilities in Burghead, Cullen and Dufftown open. All three now face the axe once again. Despite the cuts, Mr McNamara said Moray libraries, which attracted 532,650 visitors throughout 2017/18, continue to provide an invaluable service to the region. 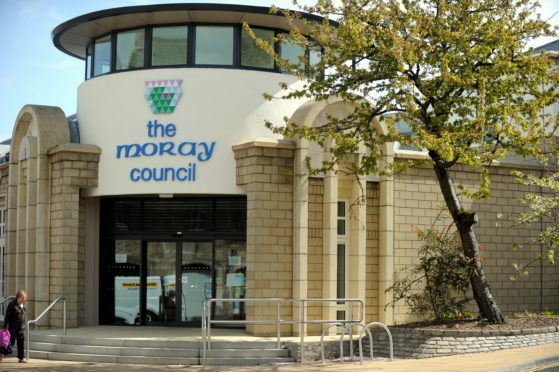 Moray Council leader Graham Leadbitter said the authority would do everything possible to avoid slashing services. “We understand that some of the cuts that we are proposing will be of significant concern to members of the public,” he said. “It is imperative that the council balances its budget, but we haven’t got to this stage to then just stop.